As diagnostic tests move closer to the point-of-care, reagent storage and delivery methods become a challenge. J-Pac Medical’s Lab on a chip reagent blisters allow reagents to be stored directly on the microfluidic cartridge, enabling the smaller footprint required by point-of-care diagnostic tests. Prototype to Full-Scale Production: J-Pac offers both small and high-volume production solutions from the 100s to tens of millions. 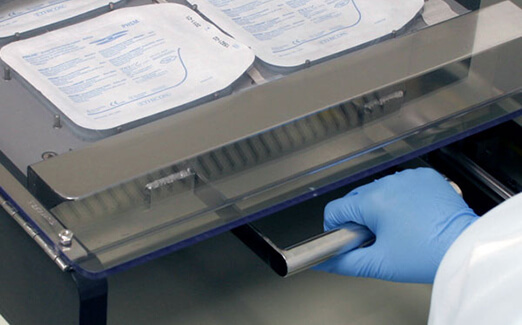 J-Pac is the industry leader in the design and manufacturing of diagnostic reagent blisters. Learn more about our products and services to help get your point-of-care diagnostic test to market. We offer reagent blister services from Lab on a chip reagent blister design and validation to automated reagent blister production and cartridge contract manufacturing. We produce multiple reagent blister sizes and shapes to meet your unique Lab on a chip reagents needs. Helpful information and updates about Point-of-Care Diagnostic Reagent Blisters and Diagnostic Consumables. 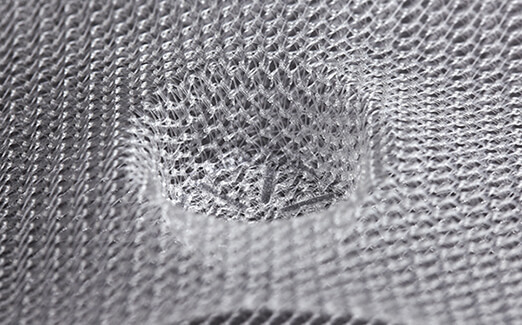 J-Pac Medical is the trusted partner for producing the highest quality custom, implantable biomedical textile devices.